Meditation is often referred to as food for the soul, energizes the mind, lifeline for the body that helps you get in shape, helps your mental alertness and improves your perception. This also helps you to express yourself properly. It helps in creating a non-violence society, a disease-free body, confusion-free mind, and sorrow-free soul. Meditation is very simple yet very profound. A rare combination of simplicity and depth. Breath watching method is a very powerful technique and can be done at any given time and place. Breath Watching Meditation or otherwise known as Anapanasati is derived from — sati meaning mindfulness and ānāpāna that refers to inhalation and exhalation. It was said, from the books that teaches Buddhism to the schools of Tibetan Zen, that the tradition of keeping the mind and body stay calmed is through proper breathing. It is in the sensations formed from harmonious relationship between inhaling and exhaling. Anapanasati is a form of meditation that gives the central focus on traditions of Buddhism in general, since the main objective is to achieve peace of mind as well as the body. From the ancient times that this form has been using to the modern era where all are part of technology, it is still most likely to be experienced by some due to its effective way of healing. They say that the attention given to the body, or parts of it, in quietude is deeply recommended to cultivate and provide an inner expression to find stillness. It also said in the traditional meditation, this serves as a practice wherein you release yourself from tension and suffering. They say that Buddha used the same meditation to achieve enlightenment during his quest for it. A well developed concentration made to practice full absorption. A traditional method found in the books of Buddha suggests that in order to attain the balance, you need to go somewhere you can concentrate, according to the book its in a form of forest, you need to sit beneath a tree and observe your breath. You then notice how long or short your breathing takes place accordingly. 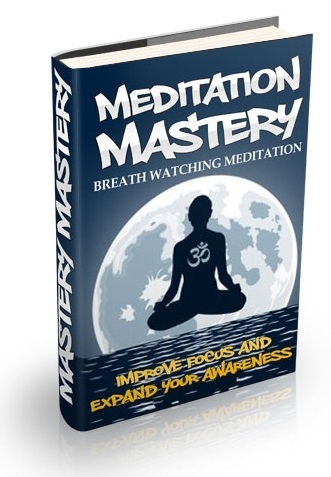 Within this ebook, you will know the most basic yet most important of all the methods used in meditation – the breath watching meditation.